If you�re an old-school kind of a guy, then the Apis 708-L is the perfect pair of shoes for you! Designed with the gloss-finish leather exterior, this pair of shoes is undeniably eye-catching and exceptionally durable! The new Apis 708-L comes with a typical lace-up feature that offers you a custom footwear fitting for a unique maneuverability experience. Rated as medical footwear, the Apis 708-L caters to diabetics because it is A5500 coded. 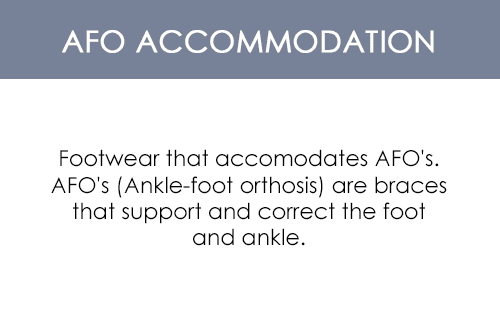 This pair of shoes is also perfect for men who need extra support for their leg, ankle and heel area for proper foot placement as it offers AFO accommodation. However, these shoes remain well-known for the matchless comfort they bring to the table. Thanks to the arch support feature that prevents flat feet problems and the removable footbed feature that accommodates custom orthotics, this pair of shoes keeps you comfortable every step of the way. Since the footbed is also contoured, the cushioning to the base of your feet is further maximized. So if you�re looking for a pair of shoes that guarantees style and comfort, then get your hands on this one! A5500 coded for diabetic footwear.